The Senate Sept. 18 approved temporary legislation that would preserve existing levels of federal investment through Dec. 7, once FY 2019 begins Oct. 1. Although the House and Senate are still working through the 12 annual appropriations bills that fund all federal programs, advancing a stop gap measure is a tactic routinely utilized during election years to assure the continuity of federal operations as November approaches. The bill must now be approved by the House of Representatives, which is scheduled to return from a week-long recess Sept. 25, to deliver the intended safety net. The Senate and House Sept. 13 initiated discussions to reconcile the differences between their respective versions of four separate FY 2019 appropriations bills. 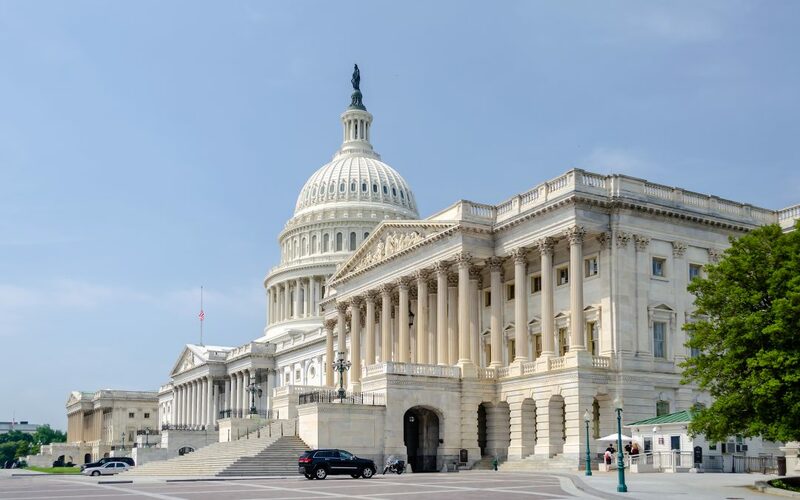 These negotiations include the FY 2019 transportation funding bills approved Aug. 1 by the Senate, and May 23 by the House Appropriations Committee. 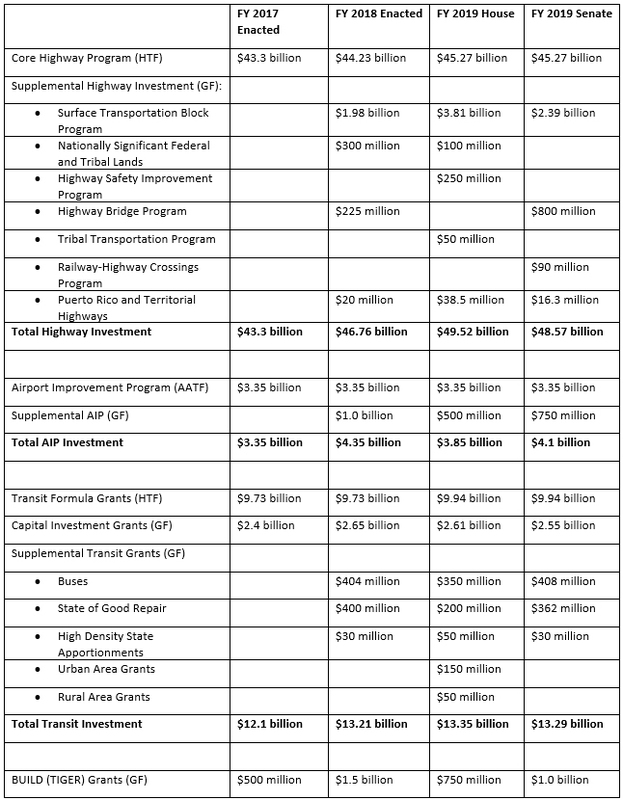 The table below provides a comparison of the two bills by major program activity. If these efforts are successful and both chambers approve a compromise package before Oct. 1, those investment levels would be final for FY 2019 and the temporary continuance of FY 2018 levels would be moot. ARTBA is continuing to work to maximize investment in all federal transportation infrastructure programs in FY 2019 and we will keep you apprised as the process continues to move forward.